Transitions are a tiny part of a message, but they can make all the difference in terms of being heard properly. 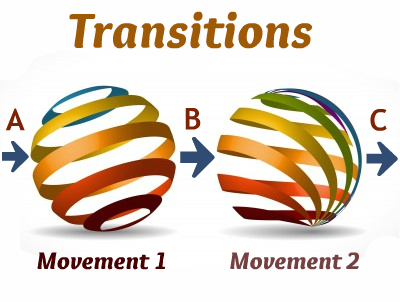 We’ve looked at the first two types of transition. Let’s ponder the third: concluding transitions. Or to put it another way, transitions to a conclusion. This is very biblical, by the way. I was just looking at Galatians 5:1-12. I think that is Paul’s transition from his second main point and body of his argument to the conclusion and application phase of his letter. An abrupt move from main point to conclusion may not be effective. So? Review clearly – These would be true of a message conclusion as a whole, but I am speaking of a transition from body to conclusion. This is a good place to review where we have been together. Anything more than clear and crisp statements runs the risk of sounding like the development of another element of the message. Don’t add explanation to this. Don’t restate in a way that might appear to be development rather than restatement. Keep this element as clear and punchy as possible. Try to make the message sound clearer than it did when you preached it! Regain any drift from relevance – There is always a danger that in the development of the main argument of a message, with all the biblical and theological explanation, that listeners can lose sight of its relevance for them. This shouldn’t happen if you make every movement relevant and apply as you go, but sometimes you need to give time to explanation. Lest any be drifting from the moorings of crystal clear relevance, use the transition to underline that this is for us today. Paul did this in his transition in Galatians 5. The sermon to the Hebrews reinforces relevance in every transition throughout the sermon. Avoid apology – I haven’t mentioned this yet, but this applies at any point. Almost always avoid apology during your preaching. Some have the habit of half apologising in transitions. “Well, anyway, that could have been clearer, but . . . ” or “I wish we had more time, we haven’t really gotten the point of that section . . .” and so on are not helpful. There may be occasion for apology. If you have a cough or weak voice, apologise if you feel it is necessary, but do so confidently. Basically the listeners will respond to your tone – if you are apologising, they will feel bad. If you are confident, they will take that on board. So avoid undermining a message by apologising in some unnecessary way. Thanks Peter – I’ve been enjoying this series on Transitions… I guess most of us tend to neglect these turning point moments. Very helpful.